KGF: Chapter 1: Yash's film's success has given confidence to the Kannada film industry, says Taran Adarsh. Yash's KGF: Chapter 1, the costliest Kannada movie is also the film industry's biggest hit. 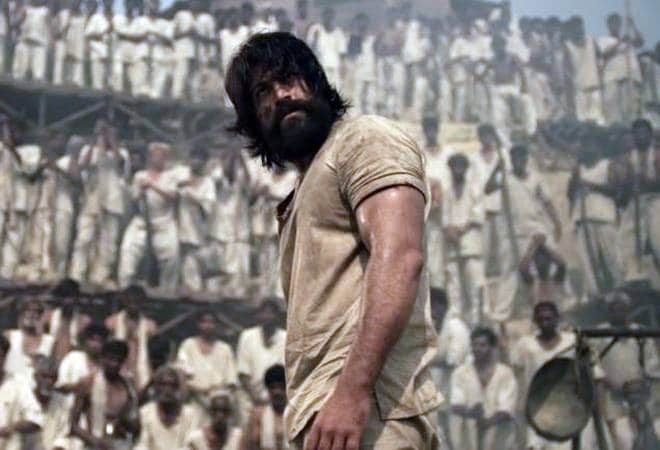 The first Kannada film to make Rs 100 crore, KGF: Chapter 1 is not only a hit in its home turf but has taken over the box office across the world. KGF: Chapter 1 has been released in Tamil, Telugu, Malayalam and Hindi, apart from in Kannada. While releasing movies in multiple languages is a rather popular strategy, the collection of the Hindi version of KGF: Chapter 1 has come as a welcome surprise. Even after outlasting Shah Rukh Khan-Anushka Sharma's Zero and clashing with Ranveer Singh-Sara Ali Khan's Simmba, KGF: Chapter 1 has managed to leave quite an impression at the box office. By the end of the third weekend, the Hindi version of KGF: Chapter 1 had made Rs 37.20 crore. According to Taran Adarsh, KGF: Chapter 1 made Rs 5.31 crore in the USA. "Super-success of KGF has given confidence to Kannada film industry to dream big and explore newer horizons... While KGF is faring exceptionally well in India, it has crossed $750k in USA... Total till 6 Jan 2019: $761,006 (Rs 5.31 cr)," he tweeted. KGF: Chapter 1 that released on December 21 has made it to the Rs 200 crore club in 18 days. According to trade reports, KGF: Chapter 1 has made Rs 201 crore worldwide so far. However, this may be the last week for KGF: Chapter 1 as Rajinikanth's Petta, Ajith's Viswasam, Balakrishna's NTR Kathanayakudu and Ram Charan's Vinaya Vidheya Rama are releasing ahead of Sankranti/Pongal. KGF: Chapter 1 revolves around the life of gangster Rocky, who is born into poverty and comes looking for wealth and power in Mumbai. His quest leads him to enrol with the gold mafia and take on a job to assassinate the oppressive heir-in-waiting of the Kolar Gold Fields. KGF: Chapter 1 stars Yash, Srinidhi Shetty, Anant Nag, Achyuth Kumar, Vasistha N Simha and Ramachandra Raju.